Serov’s parents were not artists. His father is a composer, great-grandfather is a naturalist. For the first time a talent for drawing from a young artist woke up in 1871, when he was placed in a commune in the Smolensk province. The measure was forced – the father died, the mother left to continue her education in Munich. In 872 the commune broke up and Valentine had to go to his mother, to Munich. Here he continues to draw and learn to draw from Cala Kepping, a German engraver. Serov preferred to paint portraits – they turned out to be unusually truthful. He painted mostly portraits to order. Despite the fact that he wrote them all the time, each time the artist was looking for new techniques in drawing that would help to reveal the nature of the model on the canvas in a special way. The artist himself confessed that portraits are a disease for him. At the same time, many wanted to have their own portrait painted by a great master. The artist managed to show us a model the way she wanted to look, without preying on anything. 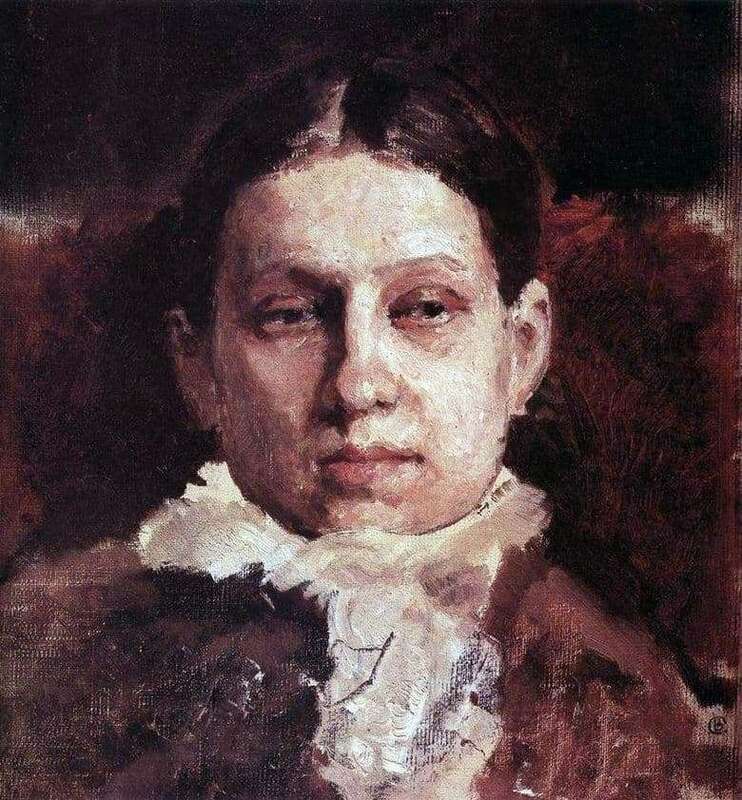 “Portrait of Repina” Serov wrote in 1881. Repin was practically his first teacher, after returning from Germany to Russia. They traveled a lot together, traveled to exhibitions. After they traveled to Zaporozhye, Serov was sent to the Academy of Arts for further study. In gratitude, Serov decided to write a portrait of the wife of Repin. The picture is painted in oil on canvas, its size is 29×26 centimeters. Stored to the present day in the capital of Russia – Moscow, in the Tretyakov Gallery.